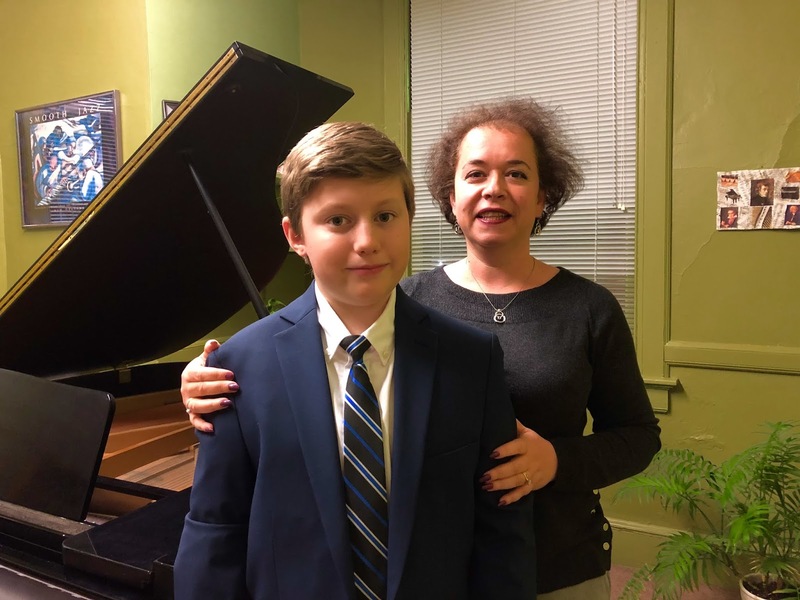 As a result of his outstanding 2017-18 Royal Conservatory examination, Franklin School for the Performing Arts (FSPA) piano student Peter Bryan, has been invited to perform at the New York Celebration of Excellence Recital at Carnegie Hall on February 16. The 13-year old Franklin resident has been studying with Ida Zelman at FSPA for 6 years. This will mark Bryan’s second performance at Carnegie Hall. He performed at the iconic venue last February as a result of last year’s exam. The Royal Conservatory of Music recognizes students from the east coast of the United States who have been invited to perform in the Celebration of Excellence recital and provides a national standard of musical achievement for people of all ages studying music privately in the US, by offering a sequential course of study. The program centers on periodic one-on-one, adjudicator-to-student performance evaluations that also function as teaching and learning opportunities. Royal Conservatory is an optional piano curriculum offered by the Music Department at FSPA and taught by Ms. Zelman. For information on Piano or other programs at the Franklin School for the Performing Arts, visit www.fspaonline.com, call 508-528-8668, or stop by 38 Main Street in Franklin. FSPA is currently offering an “All Access Pass” to prospective students which includes a free trial class or lesson and tickets to an upcoming performance.